In a search for interesting new technologies, I discovered Anon Goggles has come out with magnetic lenses. 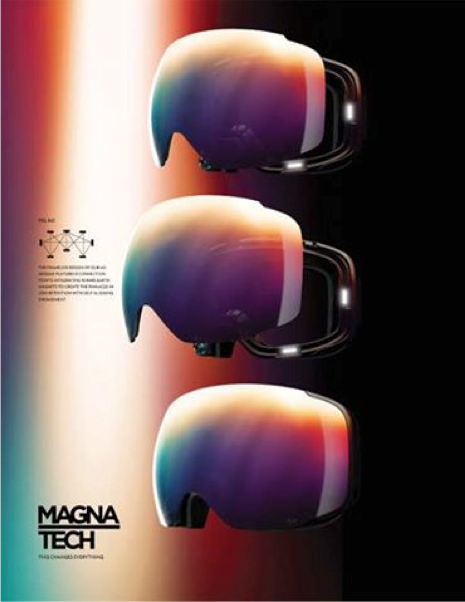 Anon Goggles, of the parent company Burton Snowboards, has created a new goggle lens technology; which uses rare-earth magnets (strong permanent magnets made from alloys of rare earth elements, the strongest type of permanent magnet made, producing significantly stronger magnetic fields) to allow quicker changing of lenses for changing weather conditions. 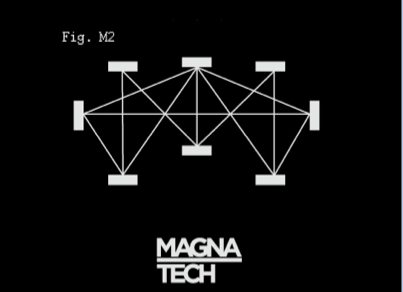 It’s been labeled “MagnaTech”, available on the “M2” model. Anon has taken an existing goggle shape/model and applied the new magnetic technology. There are four different lens tints, for varying conditions. This product is notable because I would use the technology. I see a clear demand for such equipment; changing weather conditions are constant in the mountains. I’ve also never seen this kind of goggle design before and executed so well. There have been other quick-switch lens designs before (Oakley Airbrake with Switchlock) but the functionality was awkward. The MagnaTech design is fluid and intuitive. I am very curious to see how the product withstands high impacts, and whether the lens would stay attached. This model has a lens height of 96mm that is so large; I doubt the average resort mountain rider would be able to carry a secondary lens on their person. For the rider who use a backpack or travels into the backcountry, this technology is convenient and ingenious.